Successfully Added Qi Vehicle Wireless Phone Charger - Qi Compliant, 76% Efficiency, 5V 1A Output 5W . 7.5W .10 W to your Shopping Cart. It has a 5 volt 1 ampere output and 76% charging efficiency, which will effectively charge your mobile device without needing any cable or wireless connection to it. This is not only more convenient, but it is also faster, easier to use, and prevents wear and cell phone charging ports. Vehicle mounted scaffolds and raised edges allow the charging pad to be placed horizontally at an angle, allowing you to watch movies and interact with your mobile phone easily while it charges. Apple: IPhone8 /IPhone8 Plus I/Phone X.
Nokia :Lumia 1520 /Lumia 1020 /Lumia 1050 /Lumia 920 /Lumia 822 /Lumia 820 /Lumia 930. LG: nexus4/5/6 /LTE2 /D1 /G2/3/10. HTC: 8X /Butterfly /incredible 4GLTE. Samsung: Note 5/7/8 /S6 Edge /S6 Edge /S6 Edge /S7 Edge /S7 Edge+ /S8 /S8 +. 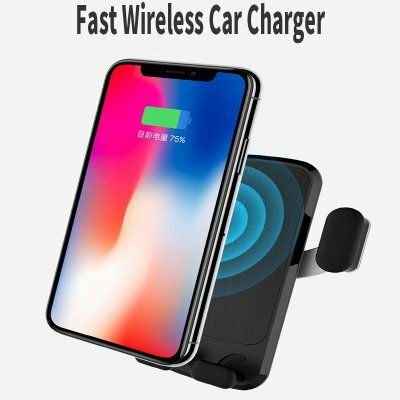 The QI wireless charger has a 12 month warranty, which is brought to you by the leader of electronic equipment and wholesale charging equipment and telephone accessories..